The CNN blog post was titled, “Don’t put your money in a house, says a new report.” The title of the press release about the report on FAU’s website was “FAU Buy vs. 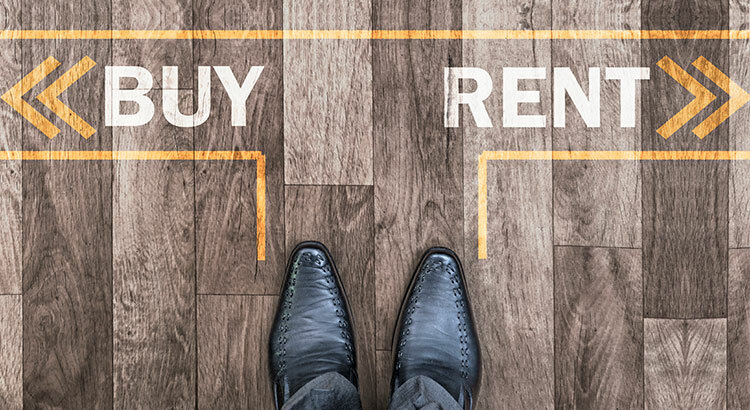 Rent Index Shows Rising Prices and Mortgage Rates Moving Housing Markets in the Direction of Renting.” Now, we all know headlines can attract readers and the stronger the headline the more readership you can attract, but after dissecting the report, this headline may have gone too far. The FAU report notes that rising home prices and the threat of increasing mortgage rates could make the decision of whether to rent or to buy a harder one in three metros, but does not say not to buy a home. According to Freddie Mac, mortgage interest rates reached their lowest mark of 2017 last week at 3.89%. Interest rates have hovered around 4% for the majority of 2017, giving many buyers relief from rising home prices and helping with affordability. While experts predict that rates will increase by the end of 2017, the latest projections have softened, with Freddie Mac predicting that rates will rise to 4.3% in Q4.